When Nasario García was a boy in Ojo del Padre, a village in the Rio Puerco Valley northwest of Albuquerque, he grew up the way rural New Mexicans had for generations. His parents built their own adobe house, raised their own food, hauled their water from the river, and brought up their children to respect the old ways. 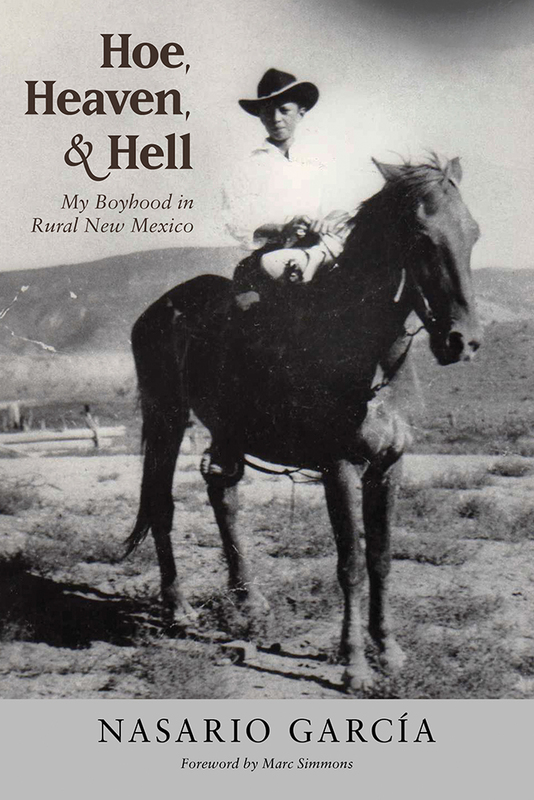 In this account of his boyhood García writes unforgettably about his family’s village life, telling story after story, all of them true, and fascinating everyone interested in New Mexico history and culture. Folklorist and native New Mexican Nasario García has published numerous books about Hispanic folklore and the oral history of northern New Mexico, including Grandma’s Santo on Its Head / El santo patas arriba de mi abuelita: Stories of Days Gone By in Hispanic Villages of New Mexico / Cuentos de días gloriosos en pueblitos hispanos de Nuevo México and Grandpa Lolo’s Navajo Saddle Blanket: La tilma de Abuelito Lolo (UNM Press). He currently lives in Santa Fe, New Mexico.